After 17 years, the progressive aggressive forefathers reemerge more massive than ever. 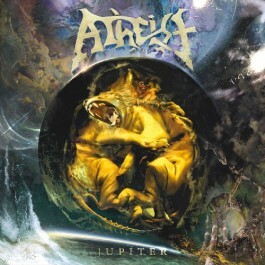 ATHEIST delivers “Jupiter”, a landmark return to earth of sonically gargantuan proportions. In the late 80’s and early 90’s, this band, alongside fellow Floridian’s DEATH and CYNIC, handcrafted the subgenre that spawned bands such as MESGHUGGAH, BETWEEN THE BURIED AND ME and THE DILLINGER ESCAPE PLAN. In 2010, ATHEIST perfect it immensely.